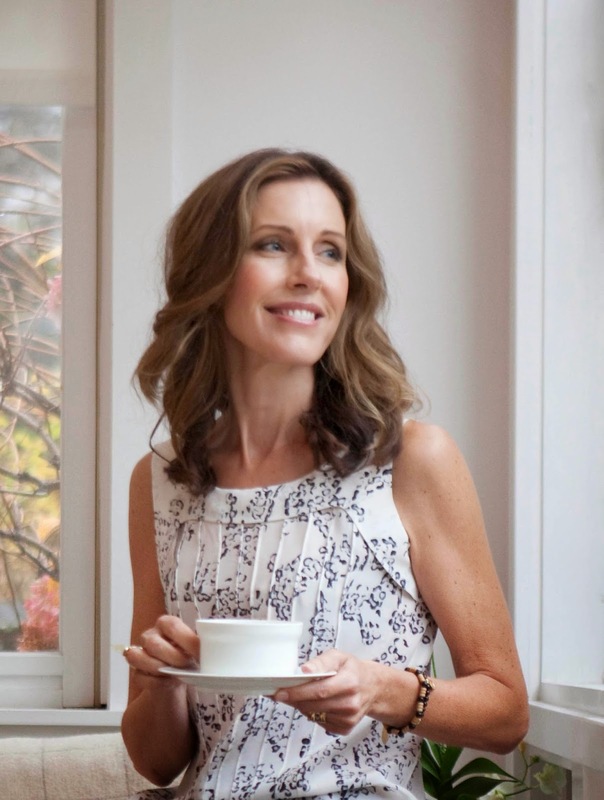 Do you think every woman has a natural connection to France? There's just something about it that draws people, especially women. 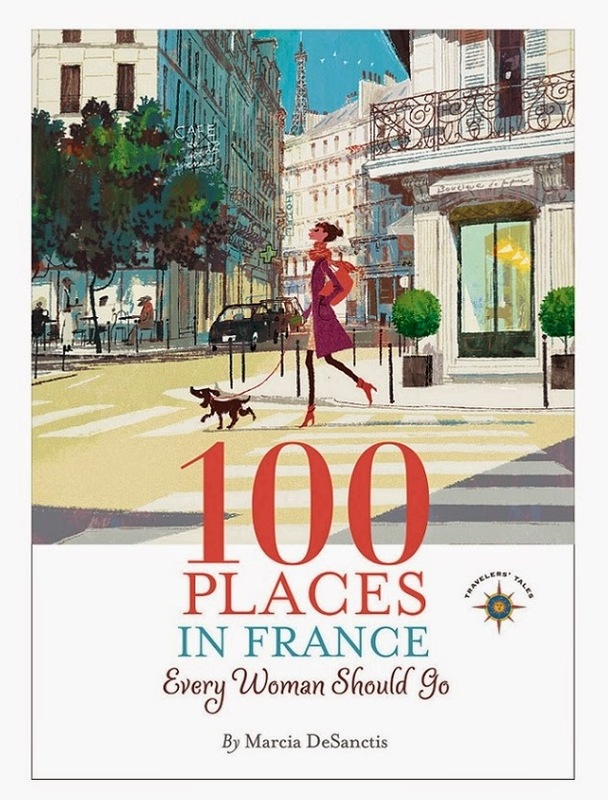 And author Marcia DeSanctis taps into that attraction with her book 100 Places in France Every Woman Should Go. This is the kind of book that should be savored slowly, enjoying each chapter as an individual visit, like one delicate piece from a whole box of French chocolates. I'm already enamored of France, and I've visited nearly a dozen times, but the author found places that I had never discovered and now I can't wait to see them. The book begins in Paris, and the author could probably have come up with all 100 places within Paris, but she does make herself limit the sites in Paris so that she could venture to the rest of France. Some of the stories describe the sights and sounds of places. Others include personal stories that help bring the places to life. Here's an excerpt from Chapter 31, La Croisette, Cannes. When I was eighteen, I spent the summer in a flat on the Promenade des Anglais in Nice. One day my sister and I took the train up the coast to try the beach at Cannes. While she went to stake a spot on one of the public beaches, I decided to wander La Croisette, the fabled avenue of movie-star struts. There was not much money in my crocheted purse, but I was sporting a deep Cote d'Azur tan and help myself high as one must do to blend into the luxury. I had already learned that lesson in France: whatever you do, act like you belong there. Walk tall and whisper. So what all does she include? I can hear you asking. You wonder if the places you love in France were also chosen by the author. I can't list 100 places in France, must less explain the importance of each. 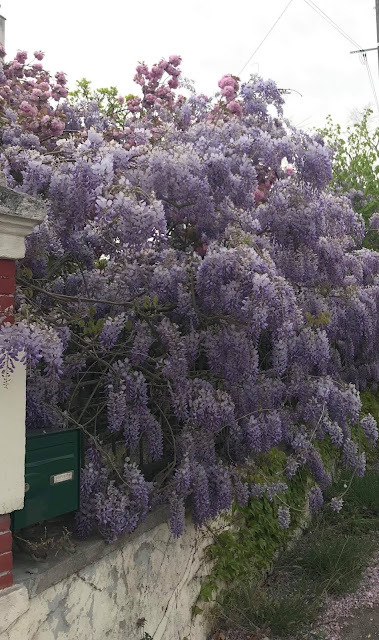 I will tell you that she begins with the Parc de Bagatelle then moves onto the Rodin Museum, and who even knew there was a Museum of Edith Piaf? Markets, swimming pools, churches, restaurants, and lingerie stores help round out the Paris list before the author ventures throughout the rest of France. If you're ready for a journey to France for real, or just on the page, go ahead and pick up this book and to accompany Marcia De Sanctis. She'll help you find some amazing places. only about where to go but why to go there. Combining advice, memoir and meditations on the glories of traveling through France, this book is the must-have in your carry-on when flying to Paris. Buy the book: Amazon, upcoming on Travelers’ Tales. Residents of the U.S. can enter to win a paperback copy of the book. 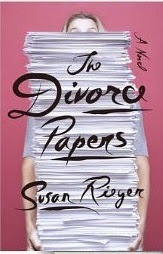 Here's the intro from Divorce Papers by Susan Rieger. I'm just starting it but it looks like it is told in the form of various letters from lawyers and others. It begins with this one from a child. I wish you were here. Mommy and Daddy are very cranky. Is 1999 going to be a good year? What's a millennium? And what's Montezuma's revenge? Daddy has it. Mommy says I have an iron stomach. I'm not sure about this new form, but I suppose I should give it a try. I've read a lot of good books set in France this year. Memoirs and fiction and history, but I haven't read any books that recommend places that I must visit. Until now with 100 Places in France Every Woman Should Go by Marcia DeSanctis. I'll be reviewing this book for France Book Tours on Thursday, with a giveaway too, so please check back to see what I thought about the book. 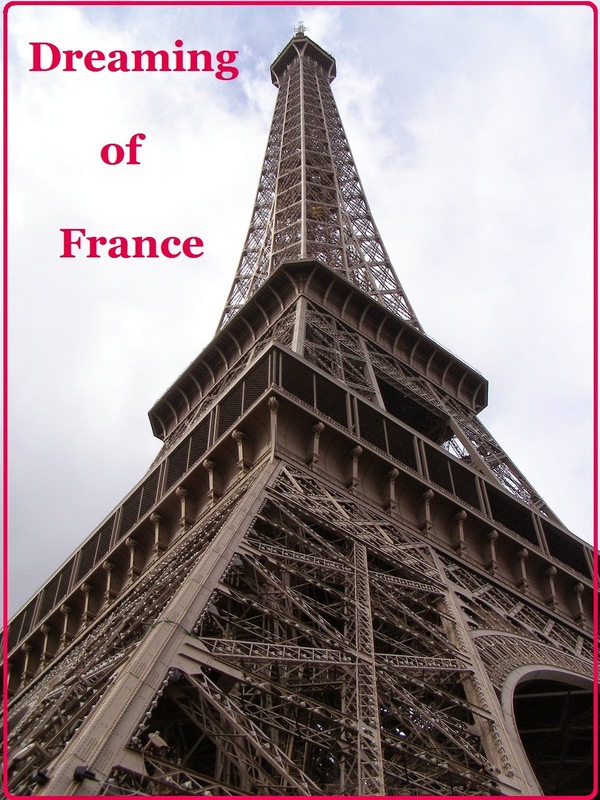 Meanwhile, I'll tell you that the author has done the leg work for you and come up with some amazing things to see in France, starting with Paris. The book focuses on well-known public places as well as some off the beaten track destinations for people who know France intimately. And one of those places every woman should go is a French lingerie store. Imagine the pampering. I might just give it a try. I'm interested to see what you are dreaming about today. 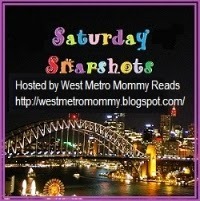 Thanks for playing along and please stop by other bloggers' Dreaming of France posts. My life continues to have too much drama in it, but it's nice to be able to fall back into traditions and things that comfort. That's what I thought today as I pulled out a well-worn recipe for Buttercup Cake. It's a recipe that my Aunt Ruby makes. Aunt Ruby is well into her 80s. She has lost her husband and she doesn't remember things the way she used to, but she still makes a delicious cake. 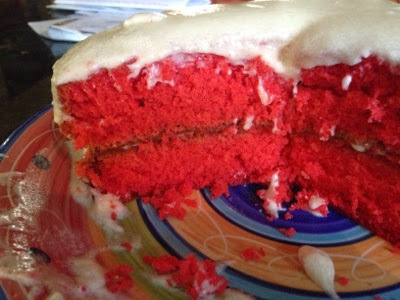 We call it red cake rather than the official title of Buttercup Cake. At the last family reunion, she said she wished she had kept track of the number of red cakes she has baked throughout the years. In addition to family reunions, she makes them for birthdays and funerals and church functions. 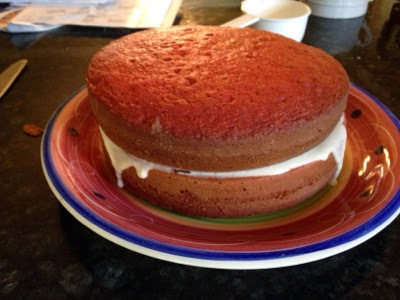 I made a red cake today to celebrate Spencer's 21st birthday. 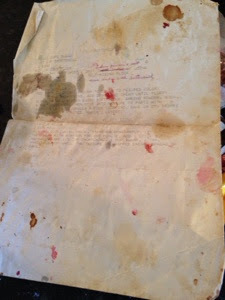 Since the recipe is so stained and faded, I figured I should make a copy. I'm sharing it here on my blog, so I'll always be able to find it. I used butter in place of the shortening, so one cup of butter replaced the butter and shortening steps. Mix and cook the flour and milk until thick, stirring constantly. Let cool. Then beat with a mixer for one minute. Add remaining ingredients. Whip until the texture of whipped cream. Spread on cake. I consider myself a pretty good baker, but I'm not good at layer cakes. They might taste good, but they never look good. Aunt Ruby's recipe calls for shortening. I use butter instead, which worked fine for the cake. In keeping with the name, it requires red food coloring. I didn't have a lot, so my cake ended up being a little more pink than red. Spencer was getting ready to go to a friend's house, so I rushed the icing, not waiting long enough for it to cool. It kind of dripped off the cake. I wouldn't have taken it to a family reunion, but it did taste good as we all ate slices to celebrate Spencer's final step into adulthood. Americans sometimes imagine cheese as flat slices of yellow wrapped in plastic. But the image of cheese is changing here in the United States. We have larger cheese selections in the grocery stores, but we still have nothing that compares to cheese shops in France. Here's a photo from a cheese shop in Nantes, France. From the street it only takes up a smidgen of space, but look how long and full of varieties of cheese it is. Along the top shelf, you can see some cheese houses. The French leave their cheeses out of the refrigerator, so they need a way to keep the flies off. The cheesemonger is even wearing a beret. How stereo-typically French is that? Thanks for playing along today with Dreaming of France. I hope you'll all visit each other's posts to see more France pictures or learn about books and movies. 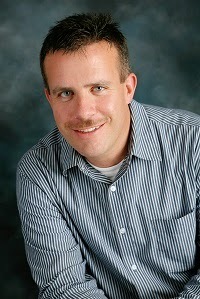 Today, my husband Earl is writing a review of Taking the Cross by Charles Gibson for France Book Tours. Click the banner to see the entire tour for Taking the Cross and to follow the author's social media. The back cover of author Charles Gibson’s latest work says he has written for an “inspirational book series.” With that notice and a title such as “Taking the Cross” the reader might think Gibson’s book is a proselytizing piece of historical fiction. Fortunately, Gibson’s interest in history wins out in a well-written account of sacrifice in the face of religious intolerance. Early in the 13th century, Pope Innocent III wanted to solidify the Catholic Church’s hold on Christendom. In that era that meant converting heretics — basically anyone, including Christian sects — who didn't follow Rome’s interpretation of Catholicism. Failing that, there was always the crusader’s sword. The setting is the Languedoc region of southern France, at that time an area where nobility tolerated various reformist religious strains, including some that would be considered New Age or humanist today. Waldensians, who viewed poverty as the way to perfection. To eliminate the Protestant threat, the pope sends his “warring hosts” into the region to convert or kill. Raimon Roger seeks a meeting with the papal legate commander to avoid bloodshed but is refused. The ensuing massacre of entire cities — an estimated 20,000 in Beziers alone — begins 20 years of back and forth battles that depopulates much of the Occitan region. The suspense and action of battle will give the hardiest reader of war stories the shivers. The violence is graphic but not gratuitous and is true to the age. Andreas, Raimon Roger and their loyal knights, all who fought for Rome, now sacrifice much in their attempts to protect those considered heretics by their church. Throughout the book they adhere to “paratge,” whose exact definition the reader is left to surmise but whose adherents say go beyond honor and chivalry. Andreas and other characters experience mystical dreams that portend danger and are dreams of the world to come. Some dream scenes are overly long and only when well into the book was it translucently vague to this reader do they portray good and evil, heavenly and satanic. Gibson describes a region and crisis of France probably unfamiliar to most readers; it’s a different look at a country and age all too familiar. The characters have substance, whether a heroic night or a young woman in a new religious order trying to learn the secret of a letter from her father. Over-explanation of some heraldic terms can be forgiven considering the complex thoughts threaded through the book. The writing is above par and well-researched but could a finer editing touch – some time transitions are jarring and descriptions are repeated too close together. 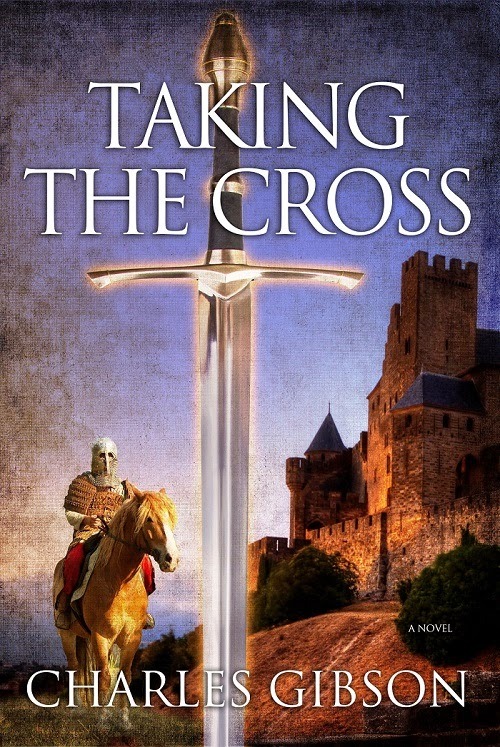 Overall, this Taking the Cross has several satisfying personalities: a tale of heroism in battle, a spiritual travelogue through time, or an historical look at one of France’s lesser known regions. wrote his first short story at the age of nine. He continues to read and write whenever he can. Charles has spent many years researching the Middle Ages and the Crusades, and has traveled to the Languedoc region in France. He has combined the passions of history and geography and prose to finish his first novel, Taking the Cross. It takes place during the summer of 1209 in France. Charles Gibson has previously written for the inspirational book series God Allows U-Turns as well as for a Minnesota newspaper. Visit his website. Follow him on Facebook, Twitter , Google + Enter to win a print copy of this book. Open to anyone in the U.S. or internationally. Today, I would like nothing more than to merely post a photo of the leaves turning brilliant colors. I was afraid the leaves were simply going to fall off without changing, but I was wrong. 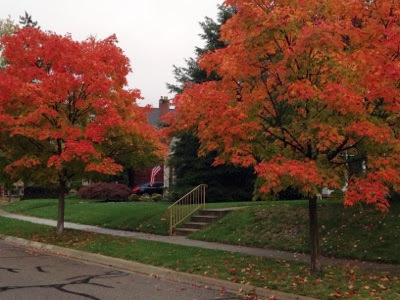 Here are a couple of trees near my house. The leaves have turned an orangish red that looks almost pink in some lights. But my thoughts are on a more somber subject. 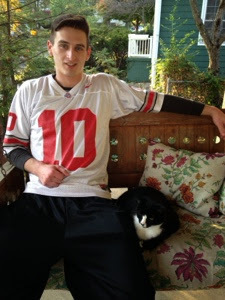 This week, I found out one of my college students died. "Passed away" was the wording they used in the email I received. Elisha (pronounced like the Biblical prophet) was in my class this summer and again this fall. (Two different classes.) He was tall and slim. He loved football and planned to try out for a spot as a running back in the National Football League, even though he didn't make the team in college. He came to my class after two years at another college. I was surprised that his writing was full of run-on sentences. We sat together that second class and read through his writing. I taught him that he paused naturally where the sentences needed punctuation. We kept working on it throughout the semester. He finished class early, completing all of the work for the course before the end. And he moved on to the next class in September, which I also taught. A few weeks ago, I asked him what was going on. "You aren't getting all the work done ahead of time like last semester." He shook his head and promised to do better. I didn't know what was going on with Elisha. I didn't understand then that this 20-year-old guy had started hanging out with a new crowd. I didn't know that until I saw the newspaper story. The story began by saying Elisha's parents filed a missing person's report when he didn't come home Saturday morning. He always came home. It was not in his nature to stay out all night. 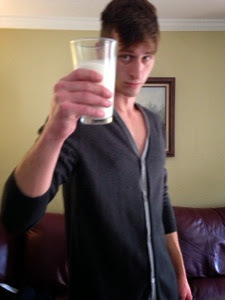 I have a son the same age as Elisha, and he had stayed out all night the weekend before when he came home from college. I texted and called him until he finally responded that he had spent the night at his friend's house. So immediately, I felt a kinship with Elisha's parents. Here we are trying to raise our sons past this tricky phase of life when they think they're independent but they're still making some very questionable choices. My son has gotten himself into some trouble, but his choices haden't ended him where Elisha's choices did. Elisha was with three other guys when two of them went into a store and robbed it. A SWAT team was waiting for them, and two of the guys were killed. Elisha was one of those. I don't know if Elisha was a robber or if he was in the car. I don't know if he had a gun. I do know, from the news story, that he had never been in trouble before, only traffic tickets. Yes, he did make an awful choice, and that choice ended his life. I just wonder how many times boys make decisions that bring them to the brink of death, that allow them to slip past narrowly. I want to reassure Elisha's parents, that I believe he was a good kid who made some bad decisions at the end. But when I picture going to the funeral, I'm afraid they might have an open casket, and I keep picturing the slim shoulders of this boy sitting in my classroom. And then it's only a tiny step to imagine that my own boys are squeaking past bad choices. No, they aren't tempted to rob stores or commit other crimes, but they all make stupid decisions. I don't want to dismiss what Elisha and his friends did. I just think 20 year olds don't think very far ahead; they don't see the consequences. Autumn is my favorite time of year, but I've had some new insights into this season in the past few weeks. of the eclipse. It looked pretty full each time. I go for a run early in the morning while it is still dark, and October had barely begun before I started to feel the morning get a little creepy. Only a few leaves had fallen, but I could hear them, their dried carcasses scuttling along the street as the autumn wind blew. I knew it was only fallen leaves blowing, but I understood why Halloween was scheduled in October. 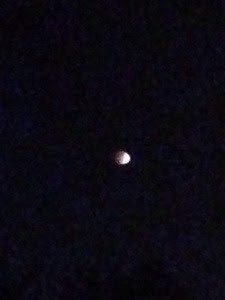 Then last week came the lunar eclipse, which was an awesome thing. When I headed out the door around 5:15, the eclipse hadn't officially begun. 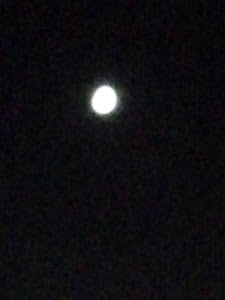 The moon looked bright and round. I chased it for nearly an hour, watching as a bigger and bigger bite was chomped from the circle. Finally, only a sliver remained, like a sideways Cheshire cat grin. Before I turned my back on the moon to head indoors the moon had become a faint round glow. It was supposed to look red, but barely stood out against the dark sky. I wondered what early people thought on one of those mornings when the dry leaves skittered across the ground like so many unseen creatures and suddenly the moon began to disappear. No wonder they would make sacrifices and call out to unknown gods. That stuff is scary. 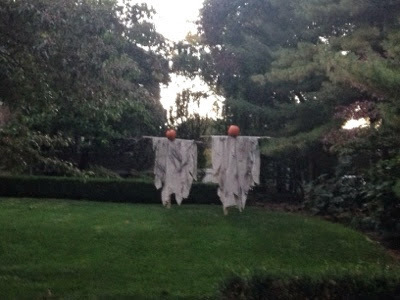 This week as I ran, accustomed to the darkness and now careful of the leaves on the ground, which had become wet and slippery, I got to see Halloween decorations that my overzealous town inhabitants have draped their houses with. Orange lights are very popular, as are spider webs looking like clouds that landed in people's bushes. Part of my run in down around a cul de sac. It's one of the more isolated sections of my run, and a street light along there seems to go dark every time I run past. It's like one of those motion detector lights, but it apparently goes out whenever I run near. So I was concentrating on the dark street when I noticed to my left someone walking in a front yard. The person carried a flashlight and wore a long white gown. I couldn't really see the person's face but got the impression he/she wore a hat. wind and I began to wonder if the person I saw out in they yard had been trying to scare me by acting like a ghost too. But I wasn't scared because ghosts don't carry flashlights, and I didn't even see the pumpkin-headed ghosts waving on their clothesline. So my autumn is full of new and possibly scary things, but I spent my summer sitting on the couch recovering from a foot injury, so I know that even scarier than running in the dark in the early morning, is doing nothing and growing out of shape. 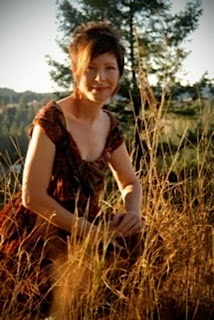 So here's a photo of the brighter side of life from a walk I took with my friend Sheila. 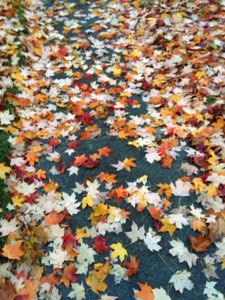 The fallen leaves, wet now, but still coloring the sidewalk like so much confetti. As much as I love visiting many parts of France, I can't get over the excitement of Paris. And I love going to Montmartre so all of Paris is spread out at my feet. This is such a clean shot of Sacre Coeur. It looks pristine and artsy doesn't it? Earl and I are on the steps in front of Sacre Coeur. He's so tall, you can't really see Paris spread out behind us, but take my word for it that it is there in all its glory. I hope you'll visit each other's websites to see more glimpses of France and know you aren't the only one dreaming of France. The Sharp Hook of Love along with the author's social media sites. Tackling a true-life love story can be daunting. After all, people who are familiar with the story already know how it ends, and this one, the story of Heloise and Abelard in Medieval France, does not have a happily-ever-after ending. 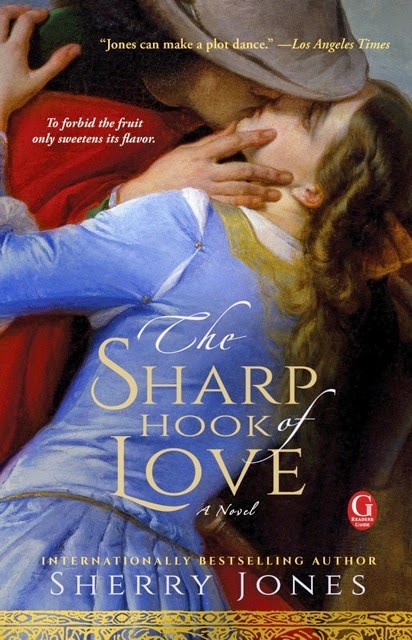 Yet author Sherry Jones paints an intricate and delicate portrait of the historical characters in her novel The Sharp Hook of Love. The characters' love, confusion and fear feel contemporary rather than Middle Ages. Heloise is a strong female character at a time when women were not expected to think for themselves. She is highly educated in the hopes that she can become the abbess of a nearby convent. But her studies take her into the path of Pierre Abelard and her focus changes from academia to passion. I can't imagine the amount of research and the leap of imagination it took for Jones to bring these historical characters to life. Quietly, so as not to awaken my uncle or Jean, we crept down the stairs and out the front door to confront the mysteries of the planets and wheeling stars, the moon hanging low like ripe fruit on a branch. He led me across the street and through the vineyards to the river. I followed him to the bank's edge, tiptoeing over my misgivings. What did he intend for me out here, shielded by the vines from everyone's view? In the moon's orange glow I could see dark shapes all along the bank, couples lying in each other's arms or strolling beside the churning deep. Breezes soughed across the swift-moving waters, edging the night with chill. I rubbed my arms, wishing that I had brought a blanket or cotte. Can't you almost feel it? If you enjoy historical romances, I think you don't want to miss this one. Make sure you enter the giveaway below. Enter the giveaway for a print copy in the U.S. or an ebook copy internationally. Grace has been frantic with a production at her college where she is helping with hair and makeup and costumes, so I haven't seen her for a few weeks. And, of course, in the midst of not having time to rest, she has gotten sick. Last week she started telling me about a cough and feeling bad. On Saturday, as the show wrapped up, she texted me that she had a fever. On Sunday, she texted that she might have strep. On Monday, the text informed me that she was retching over the toilet, planning to skip class to go to the health center. The health center said she had flu symptoms and she could only treat the symptoms. "Told you I was sick." Now with Ebola being the big scare in the news, Grace is lucky that I know her pretty well. 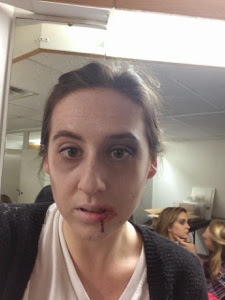 I knew she was teaching high school students how to do makeup for a production of Dracula rather than dying of Ebola. Still, many mothers may not have taken it as well as I did. In spite of the vampire makeup, I can tell she is not feeling well. I got some one-on-one girl time with my great nieces on Wednesday while their mom went to the dentist. We played some horses and danced to some Disney songs. Then I took 2-year-old Regan upstairs for a nap. You can tell she was tired. 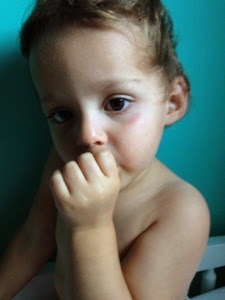 She's still gorgeous with her big eyes and olive skin. Her hair is not really growing, at least not growing down. It seems to be piling up on top of her head. I love this picture of her. Caroline and I made some cookies. They are a gluten-free family, which means no wheat. So we made no-bake cookies with oatmeal, peanut butter, butter, milk and cocoa. After we stir them on the stove, we plop them onto waxed paper so they'll harden as the butter cools. Caroline put herself in charge of licking the pan. 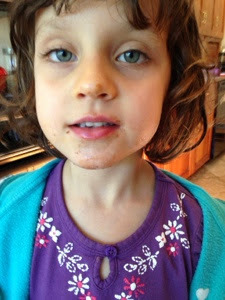 She got every bit of chocolate, well, what didn't remain on her face. So, I am loving my relatively calm time with the girls in my life. My boys are still giving me headaches, so I'll just come up with a yoga mantra that has to do with those lovely nieces and my beautiful, hopefully recovering, daughter. Love by Sherry Jones is a retelling of the love story of Heloise and Abelard from 12th century Paris. I was born in silence, my wails quieted by the hand of the only friend my mother could trust. In silence I spent most of my youth, amid the nuns of Argenteuil floating through the dark abbey without sound, as though we lived under the sea. Only in my dreams did I dance, laughing with my mother in the sun, her voice like water, her kisses like dew falling on my cheek. I would awaken with tears instead, and an ache like hunger that never subsided. Heloise is a female scholar, hoping to become an abbess before she is wooed by the foremost scholar, Abelard, and the two of them begin a love affair that is doomed. Hope you all are reading something that ignites your passions. This week, I'm borrowing some of my friend Leah's photos from her trip this summer. Since she's an artist, she loves to visit places where other artists created. 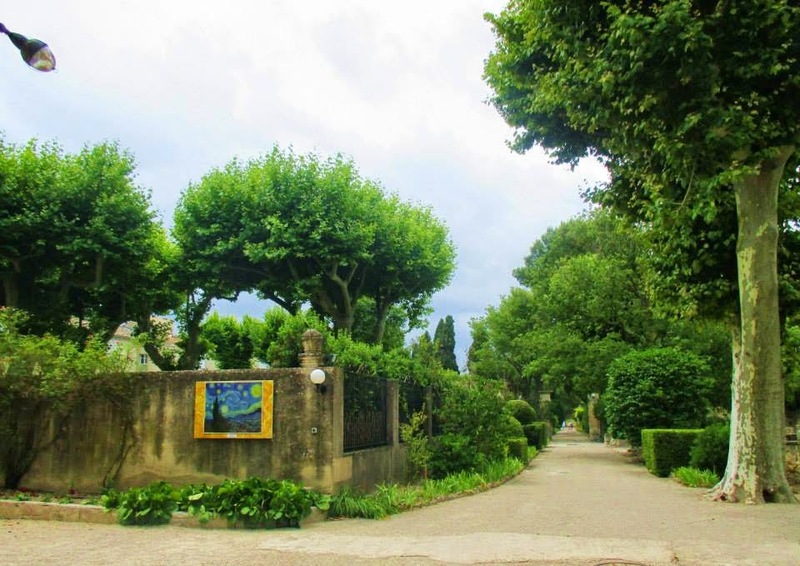 While staying in Arles, they traveled to St. Remy and visited St. Paul du Mausole, the mental health hospital where Van Gogh stayed for 53 weeks. It is still a working hospital, but it allows tours and has some great tributes to Van Gogh. According to the website, Van Gogh created 143 oil paintings and 100 drawings while he stayed there, including his famous Starry Night and The Irises. The entrance looks so quintessential French, doesn't it. I look forward to seeing what everyone else is dreaming about this week. 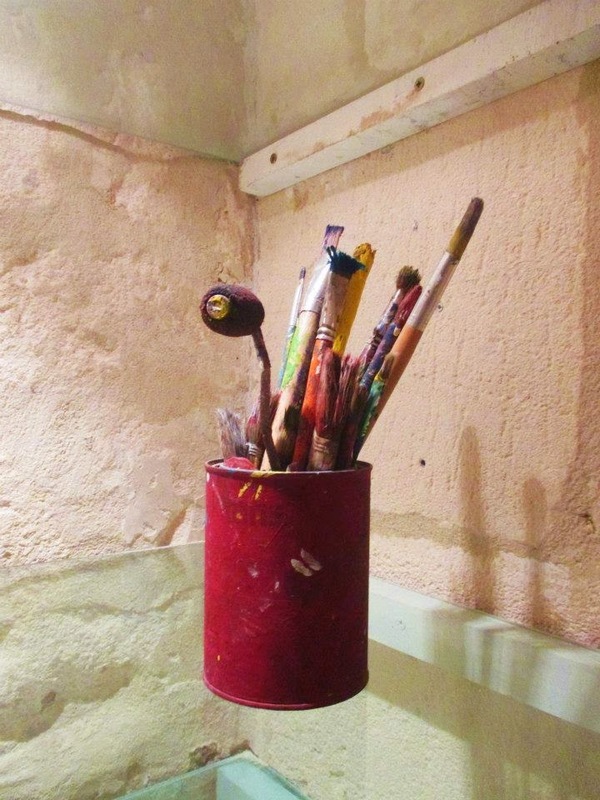 Please leave a comment, and visit each other's blogs for more French inspiration. The memoir begins with the death of Cherie's husband. Her tenacity and her adventurous spirit afterward are amazing. Of course, since the book is on France Book Tours, I figured part of it had to take place in France, and I was right. She visits Paris right away, renting a room from an older woman. Madame indicated that I shouldn't make myself at home in the rest of the apartment. I noticed the telephone in the dining room had a padlock on it, not that I had anyone to call. The stale cookies had left a dusty taste in my mouth, and so I went across the street to sit over a creme on the sidewalk of the Cafe de l'Esperance, now open and filling up with after-Mass and instead-of-Mass habitues. My ears ached with listening to them all speaking French as I stirred my coffee and looked around with amazement. here I was, at age forty-eight, suddenly on my own in Paris, transported as if by magic. There was no place on earth I would rather be, nothing else I would rather be doing. It had been three years since I had had a moment like this. Los Angeles was far away, so was the despair and depression I had lived with for so long. 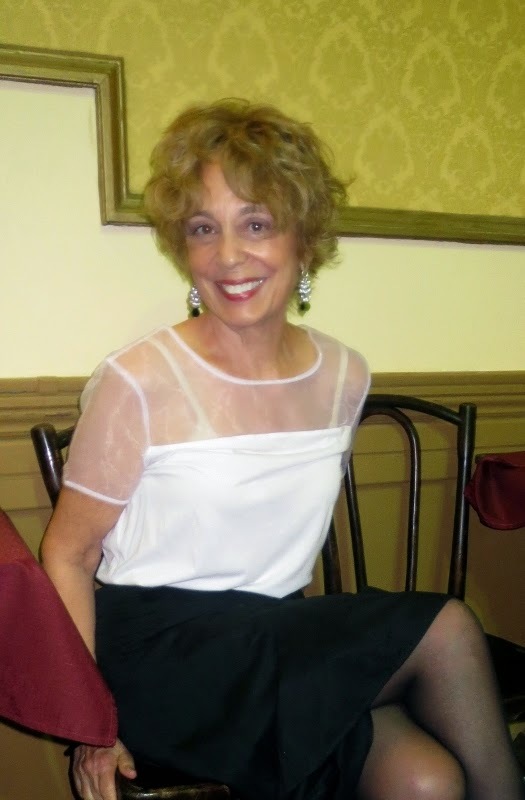 Through all of her difficulties -- health, emotional, and financial -- Cherie had tango to pull her through. Her fascination with tango took her around the world and into the arms of men equally passionate about tango, and a few of them passionate about her, as well. I'm not going to pretend that I understood Cherie's passion for tango. I've attempted to learn it a few times without much success, but I do understand when people find something that they love to do and want to do it constantly. Cherie's love for tango was the passion that took her on her adventures, and I truly enjoyed the journey along with her in her well-written memoir. I'm not sure if the author meant to teach the lessons that I learned, but I'll go ahead and share them with you. Cherie's financial troubles were closely connected to the sale of her beautiful home in California. It was a home that she felt she couldn't afford after her husband died, but she really had no stability afterward as she moved from France, to an apartment in California, to an apartment in Mexico, to Argentina. Also, being a naive Midwesterner, I couldn't believe the way people treated her. When her husband died, he had been in a business deal with several other men. Those men realized the business deal was going south, so they transferred all of their assets into their wives' name. Cherie was the only one left holding the bag because her husband died. I can't believe real people would do that, would treat a widow that way, but they did. Cherie also got ripped off by her realtor, who couldn't advertise her house, so he kept lowering the price and eventually bought it himself when he felt the price was low enough. Again, I was shocked. The final financial blow came from the couple with whom she and her husband owned an apartment in France. Apparently, in France, people have mortgage insurance so that if one partner dies, the mortgage is paid off. Here was a chance for Cherie to hold onto some property and some security. But the couple who shared the house, brought a lawyer to their meeting and said instead of Cherie's half being paid off, all of their payments were lowered. They said Cherie was still responsible for part of the mortgage. She ended up selling the apartment to them at an unfair price too. You'd think that after all of that, plus fighting breast cancer, Cherie would be ready to give up, but she wasn't. She held onto her curiosity for life, and she kept dancing. Her life should be an inspiration for all of us. Go to the bottom of this post to enter for a chance to win the ebook. It's open internationally. More than a metaphor and much more than a dance, the Tango takes Cherie from being a widow with suicidal tendencies to traveling the world in search of herself, finding love, sorrow and serenity. Her quest takes her to France where she falls in love with aristocratic Olivier, and to Argentina where she falls in love with the tango. 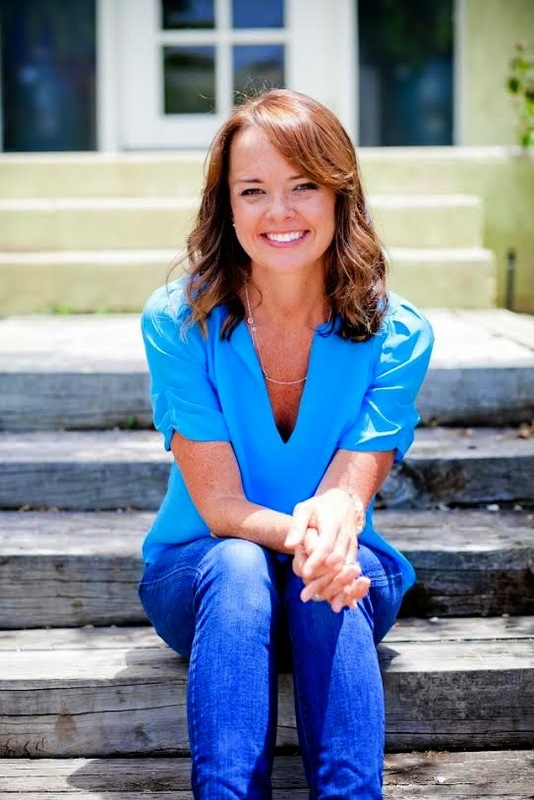 Along the way she discovers and deals with her own two separate breast cancers and the loss of all that she’d previously valued. Relationships in the desperate singles world is a whole new dance to learn, before being blessed at the Church of Tango. 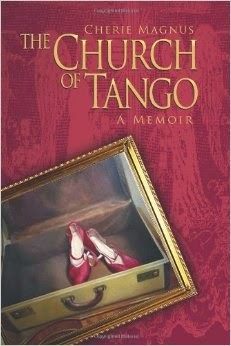 The Church of Tango captivates readers struggling with tragic loss, illness, and death, as well as those who are passionate about travel and adventure, who long for love, or who delight in dance of all kinds. Somehow, I missed the news story about the Paris apartment that was untouched for 70 years since World War II and filled with treasures from the Belle Epoque. I read this novel, A Paris Apartment by Michelle Gable, not knowing that many of the details included were based on the actual story. That apartment was discovered in 2010. The author must have been inspired immediately to begin creating her character, April, a furniture specialist for Sotheby's. In the midst of a marriage in turmoil, April is sent to Paris to help catalog the exotic furniture. Instead of focusing on the furniture, she is entranced by the journals of the former owner, a demimondaine, or courtesan during the turn of the 20th century. The book alternates chapters between the life of 21st century April and 20th century Marthe who struggled to survive and thrive in Paris by attaching herself to rich men and falling in love with a struggling painter. I loved the rich descriptions of the objects in the apartment and the even more vivid imaginings about the life that took place in the apartment. Running parallel to the events in the journal, is April's own uncertainty about her marriage and her attraction to the French attorney representing the owner. A bell tinkled overhead. Though the smell was intoxicating enough to make even the pickiest of Parisians fret with indecisiveness, April knew exactly what she wanted. She tiptoed to the glass case. Bonjour, les chouquettes, I've missed you. Chouquettes. The perfect pastry. Puffed up. Light. They came in two versions, dusted with sugar granules or chocolate chips. April elected the sucre perle. If you were in Paris, your food might as well glitter. She buys a dozen and gorges on them while immersed in the journals of the Belle Epoque. I love that the character is impulsive and a little out of control. I also enjoyed the fact that the main character was well-respected expert in her field and didn't apologize for being a businesswoman, even when the Frenchman accused her of working too hard. I zipped through this book, anxious to see what happened next. I'd definitely recommend picking it up and whiling away some time in Paris. If you live in the U.S. or Canada, make sure you enter to win a paperback copy at the bottom of this post. Good luck! Whether accompanied by croissants or champagne, this delectable debut novel depicts the Paris of the Belle Epoque and the present day with vibrant and stunning allure. 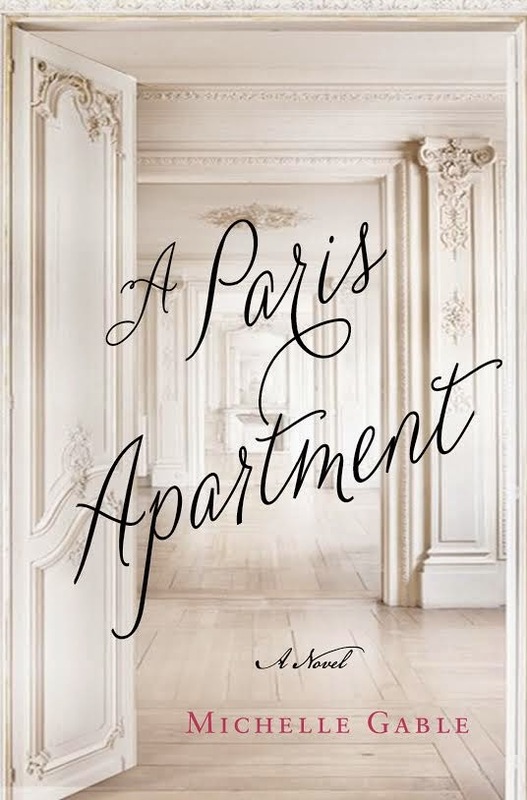 Based on historical events, Michelle Gable’s A Paris Apartment will entertain and inspire, as readers embrace the struggles and successes of two very unforgettable women. So, my book releases have never gone the way I have planned. When The Summer of France came out in October 2012, I was in the middle of a broken nose and recovering from surgery. I didn't do the best job promoting that first novel, but it has plugged along and still sells the best of all my novels. 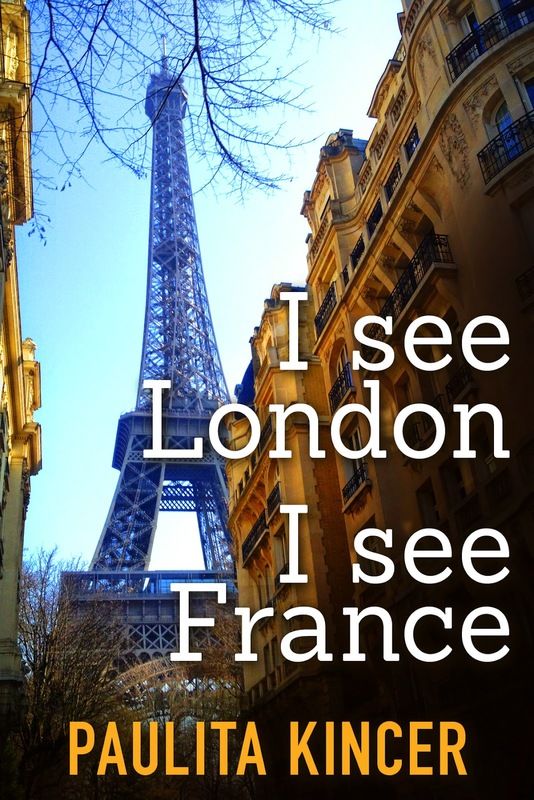 My next novel, I See London I See France, came out right before Christmas in 2013. All of the hectic activity of the season caught me unawares again. I thought I'd get it right with this third novel. I had finished and edited my novel. Then I sent it out to the copy editor to find any missing commas or transposed letters. The editor told me when she would be finished and I set the book on pre-order for the following Friday. But then she wasn't finished on the promised date. And then suddenly I was unable to cancel the preorder. I did manage to update the file with the correctly formatted one. I sent the book off to another editor and finally got all the minute corrections in. 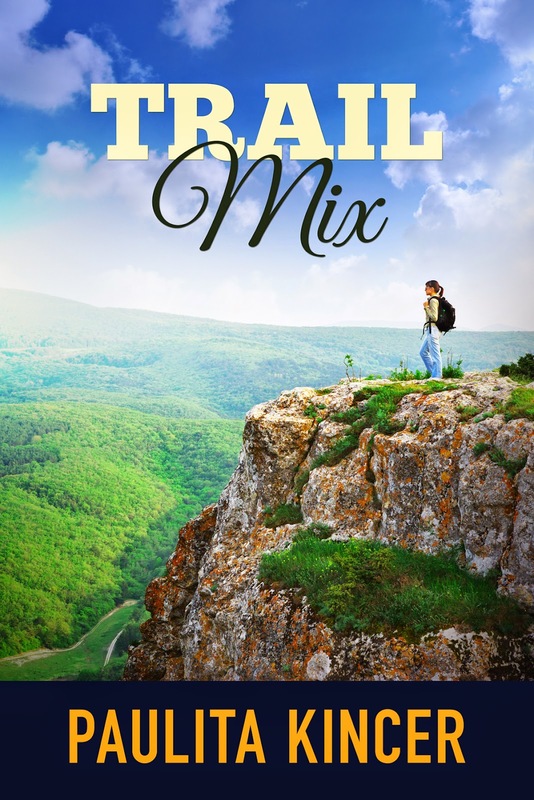 And I'm thrilled that even without promoting it, Trail Mix has sold well. In the tradition of Wild by Cheryl Strayed, comes a novel of two suburban women who decide to hike the Appalachian Trail, escaping their lives as moms and wives in search of nature, adventure, and the ultimate diet plan. How does a woman know what she wants after spending 20 years thinking about her husband and children? Sometimes it takes a distraction from everyday life, time to examine the forest before the trees become clear. With no previous camping experience, Andi and Jess begin the 2100-mile odyssey from Georgia to Maine. The friends figure life on the trail can't possibly be worse than dealing with disgruntled husbands, sullen teens home from college, and a general malaise that has crept up in their daily lives. At the very least, the women are bound to return home thin. 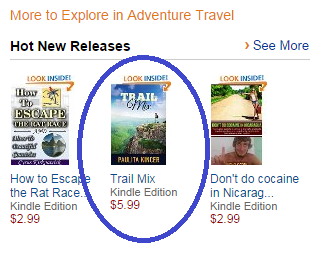 Look, it even made the list of "hot new releases" on Amazon in the Adventure Travel category. The kindle edition is available on Amazon. The paperback is coming to Amazon, but currently on Lulu, and the Nook version is available now on Barnes and Noble, so everybody can get a taste of life on the Appalachian Trail.